This Sunday in the High Country is more overcast than the day before, with a little rain in some places. Up on Beech Mountain, the long range views are always beautiful. Today, they show us lots of green foliage still waiting for the season to progress. 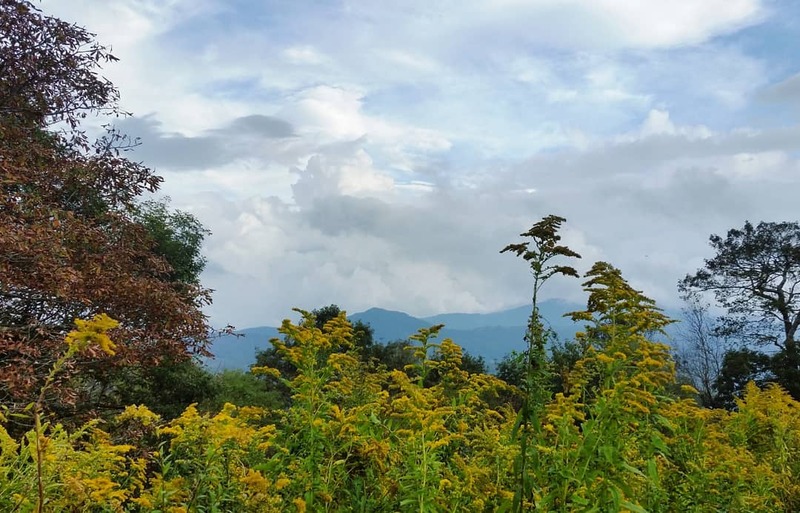 Goldenrod is still in full bloom in the area, lending lots of rich color to wild spaces.